Mesa, AZ Saxophone Lessons Near Me | Fun Classes. Top Teachers. Check out some of our most popular teachers near Mesa, AZ including Phoenix, Chandler, Tempe, Scottsdale and Gilbert. I am very excited to teach you all what my 23 years of experience in playing the saxophone can bring. I can teach children to adults, beginner to advance players the tools to become and great musician. I workout of various books to suite the students playing level. I also use a metronome , tuners , sheet music all to help develop good habits. I work with kids and teenagers so they can audition and become more effective in their school band. You must practice at least a hour a day to reach the goals you require .Contact me and you will be on your way to becoming a great musician. I have a Bachelors Degree in Music Education. I can teach students who are just beginning as well as students who are well into high school. I structure my lessons so students learn what they want to learn, while also building a strong fundamental skills. My name is Liza. I am a public school Elementary Band Teacher. I have taught private lessons to students since 2012. I play flute, piccolo, saxophone, and clarinet professionally. Wonderful! Very knowledgeable and easy to learn from! Just within 5 short lessons, my 10 year old son has greatly improved in playing the saxophone. Lisa was kind and patient with him, and I definitely plan to continue lessons. Lisa is trying to teach a senior on how to play again. I very rarely stick to what Lisa has set up for me to practice. Unlike youthful players we are not following a lesson book or books. But she is patient with me and we get along great and best of all i actually think i am doing better than i expected. My guess would be that this is my third renewal. I have over 18 years teaching experience, and mastery and complete command of the saxophone-ALL scales, all arpeggios, all of the altissimo register, tonguing at 160+, double and triple tonguing. I will help you gain mastery of those skills as well. 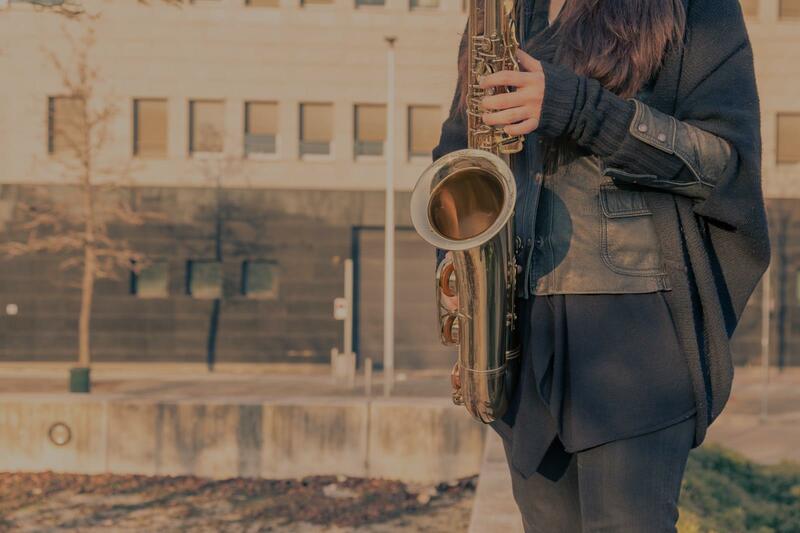 I have been teaching since 2002, have multiple references of satisfied former and current students, and have complete command over the saxophone and the ability to help you gain the same command. I am new to the saxophone, but my whole experience of taking lessons with Jason has been absolutely wonderful. I always walk away from a lesson feeling encouraged, improved and great (even when I don't practice as much as I should)! Highly recommended. Jason is an excellent teacher. He is very professional and easy to work with. Jason is a great saxophone teacher! I used to play in middle school and was reluctant to try again now that I'm graduate school, however Jason has made the transition back to playing easier than I thought. He is very knowledgeable about different types of music and saxophone accessories as well. Highly recommended. From the casual musician to the returning professional, my lessons teach you what works. I'm completely serious when I say that you're guaranteed to get started quickly and feel good about the progress you make each lesson. From buying your first saxophone setup (sax, mouthpiece, reed, and accessories) to developing strong practice techniques, I'll make sure you get realistic advice that works for you. After our first lesson, I aim for no questions left unanswered. Can't find a teacher in Mesa, AZ? "What a great teacher. Just what I wanted." Phoenix, AZ teacher: Lonze R.
demonstrate how something should sound by playing it and providing recordings. I like his style of teaching. He does not put you down. He always finds something positive to say even when providing criticism. He is a first rate performer as well as a teacher." Phoenix, AZ teacher: Jason L.
Phoenix, AZ teacher: Anthony M.
"Lonze was terrific! My son is learning a lot and can't stop talking about how excited he is to continue his lessons. Thanks Lonze!!!" we covered alot in the lesson without feeling rushed. The immediate feedback during the lesson was helpful and positive." helped me with upcoming auditions and to develop my skills as a saxophone player. I definitely recommend taking lessons from him." Phoenix, AZ teacher: Lisa M.
"Lonze, does a great job of working with my son to make sure he understands not only the instrument but the theory behind what he is asking him to do." "I am enjoying his lessons, I just finished few lessons but I feel I would be able to learn it quickly."